Crash-test scores rank highly in the crossover SUV category. 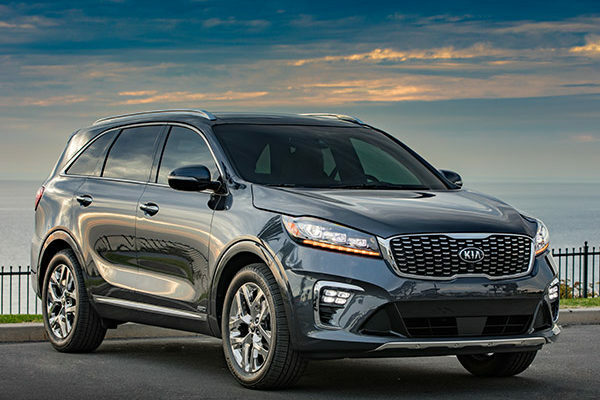 The Insurance Institute for Highway Safety has named the 2018 Sorento a Top Safety Pick+, with Good scores in each crash test. However, the “plus” designation applies only to top models with V6 engines, whose HID xenon headlights have been rated Acceptable. Sorentos with autonomous emergency braking promise Superior frontal crash protection. A V6 Sorento feels strong when starting from a standstill, followed by undramatic acceleration to road speed. Although the automatic transmission generally shifts smoothly, some “shift shock” may occur with the V6.